Original painting. 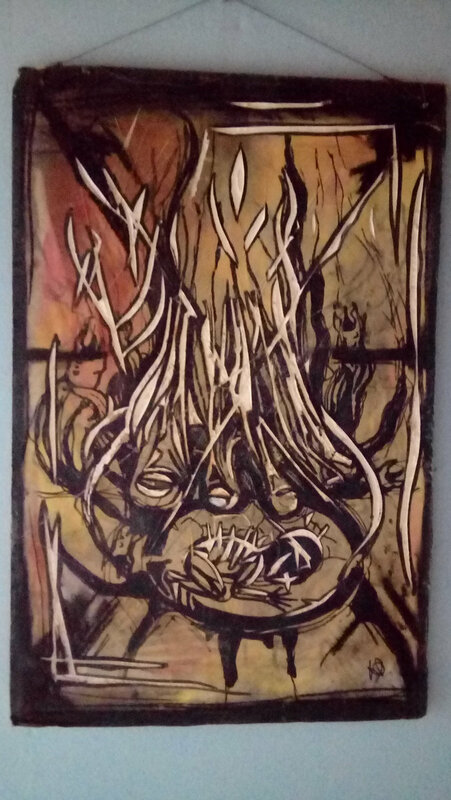 Wood craving, tempera, and pastel. Package will be sent separated with priority and extra safety posting. Price: 990 EUR, but it's negotiable. It's just that I see simple prints going for hundreds of euros, so as an original piece, I think it's somewhat a fair price. Nice painting I should say!